i rock paper and scissors: Doodlebug Spotlight - Paper Issues! Doodlebug Spotlight - Paper Issues! 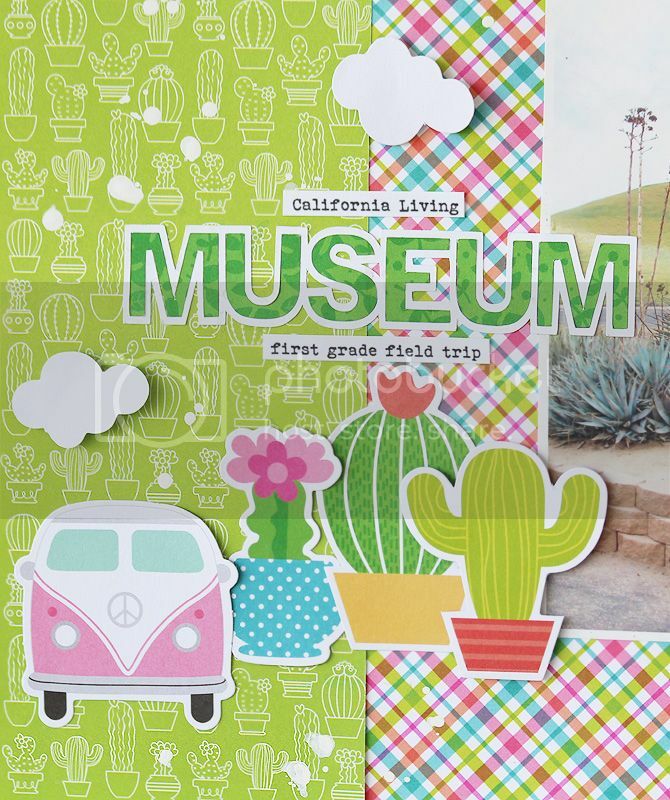 We're spotlighting Doodlebug Designs over on the Paper Issues blog today, and I have this layout to share using Doodlebug's Fun in the Sun collection. As soon as I saw the sweet little cactus die cuts, I remembered this photo I had taken of Gracie on her school field trip, standing in front of this giant cactus. 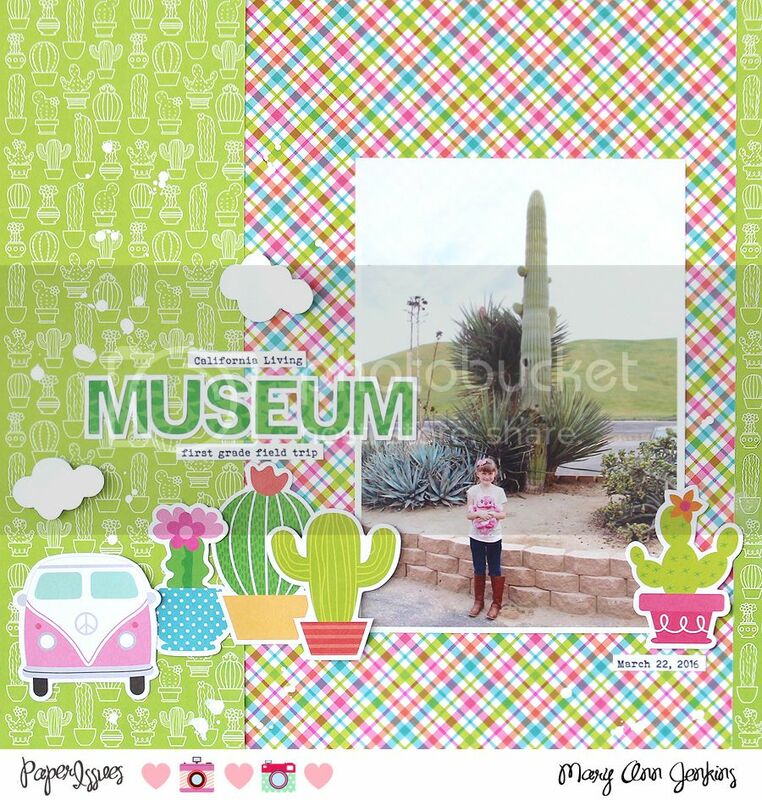 Pair it with the cute cactus paper, and it was a perfect match! This honestly was such a quick and easy layout to make! I splattered just a bit of white paint on the cactus paper, and while it was drying, I cut out the word "museum" with my Silhouette. By the time the word was cut, and I had the white outline border glued on to the word, the paint was dry. From there it was just layering the patterned papers, then adding my photo, and then die cuts. I did a few lines of journaling with my computer, and the layout was complete. Seriously, less than 30 minutes. Happy Wednesday my friends, thanks for stopping by!